Consider this: thousands of diverse, locally-rooted, grassroots economic projects are in the process of creating the basis for a viable democratic alternative to capitalism. It might seem unlikely that a motley array of initiatives such as worker, consumer, and housing cooperatives, community currencies, urban gardens, fair trade organizations, intentional communities, and neighborhood self-help associations could hold a candle to the pervasive and seemingly all-powerful capitalist economy. These "islands of alternatives in a capitalist sea" are often small in scale, low in resources, and sparsely networked. They are rarely able to connect with each other, much less to link their work with larger, coherent structural visions of an alternative economy. Indeed, in the search for alternatives to capitalism, existing democratic economic projects are frequently painted as noble but marginal practices, doomed to be crushed or co-opted by the forces of the market. But is this inevitable? Is it possible that courageous and dedicated grassroots economic activists worldwide, forging paths that meet the basic needs of their communities while cultivating democracy and justice, are planting the seeds of another economy in our midst? Could a process of horizontal networking, linking diverse democratic alternatives and social change organizations together in webs of mutual recognition and support, generate a social movement and economic vision capable of challenging the global capitalist order? To these audacious suggestions, economic activists around the world organizing under the banner of economia solidaria, or "solidarity economy," would answer a resounding "yes!" It is precisely these innovative, bottom-up experiences of production, exchange, and consumption that are building the foundation for what many people are calling "new cultures and economies of solidarity." The idea and practice of "solidarity economics" emerged in Latin America in the mid-1980s and blossomed in the mid to late 90s, as a convergence of at least three social trends. First, the economic exclusion experienced by growing segments of society, generated by deepening debt and the ensuing structural adjustment programs imposed by the International Monetary Fund, forced many communities to develop and strengthen creative, autonomous and locally-rooted ways of meeting basic needs. These included initiatives such as worker and producer cooperatives, neighborhood and community associations, savings and credit associations, collective kitchens, and unemployed or landless worker mutual-aid organizations. Second, growing dissatisfaction with the culture of the dominant market economy led groups of more economically privileged people to seek new ways of generating livelihoods and providing services. From largely a middle-class "counter-culture"-similar to that in the Unites States since the 1960's-emerged projects such as consumer cooperatives, cooperative childcare and health care initiatives, housing cooperatives, intentional communities, and ecovillages. There were often significant class and cultural differences between these two groups. Nevertheless, the initiatives they generated all shared a common set of operative values: cooperation, autonomy from centralized authorities, and participatory self-management by their members. A third trend worked to link the two grassroots upsurges of economic solidarity to each other and to the larger socioeconomic context: emerging local and regional movements were beginning to forge global connections in opposition to the forces of neoliberal and neocolonial globalization. Seeking a democratic alternative to both capitalist globalization and state socialism, these movements identified community-based economic projects as key elements of alternative social organization. At the First Latin Encuentro of Solidarity Culture and Socioeconomy, held in 1998 in Porto Alegre, Brazil, participants from Brazil, Mexico, Argentina, Peru, Nicaragua, Bolivia, Colombia, and Spain created the Red latinoamericana de la economÃ?Â­a solidaria (Latin American Solidarity Economy Network). In a statement, the Network declared, "We have observed that our experiences have much in common: a thirst for justice, a logic of participation, creativity, and processes of self-management and autonomy." By linking these shared experiences together in mutual support, they proclaimed, it would be possible to work toward "a socioeconomy of solidarity as a way of life that encompasses the totality of the human being." Since 1998, this solidarity economy approach has developed into a global movement. The first World Social Forum in 2001 marked the creation of the Global Network of the Solidarity Socioeconomy, fostered in large part by an international working group of the Alliance for a Responsible, Plural, and United World. By the time of the 2004 World Social Forum in Mumbai, India, the Global Network had grown to include 47 national and regional solidarity economy networks from nearly every continent, representing tens of thousands of democratic grassroots economic initiatives worldwide. At the most recent World Social Forum in Venezuela, solidarity economy topics comprised an estimated one-third of the entire event's program. But what exactly is this "solidarity economy approach"? For some theorists of the movement, it begins with a redefinition of economic space itself. The dominant neoclassical story paints the economy as a singular space in which market actors (firms or individuals) seek to maximize their gain in a context of scarce resources. These actors play out their profit-seeking dramas on a stage wholly defined by the dynamics of the market and the state. Countering this narrow approach, solidarity economics embraces a plural and cultural view of the economy as a complex space of social relationship in which individuals, communities, and organizations generate livelihoods through many different means and with many different motivations and aspirations-not just the maximization of individual gain. The economic activity validated by neoclassical economists represents, in this view, only a tiny fraction of human efforts to meet needs and fulfill desires. What really sustains us when the factories shut down, when the floodwaters rise, or when the paycheck is not enough? In the face of failures of market and state, we often survive by self-organized relationships of care, cooperation, and community. Despite the ways in which capitalist culture generates and mobilizes a drive toward competition and selfishness, basic practices of human solidarity remain the foundation upon which society and community are built. Capitalism's dominance may, in fact, derive in no small part from its ability to co-opt and colonize these relationships of cooperation and mutual aid. In expanding what counts as part of "the economy," solidarity economics resonates with other streams of contemporary radical economic thought. Marxist economists such as Stephen Resnick and Richard Wolff, for example, have suggested that multiple "modes of production" co-exist alongside the capitalist wage labor mode. Feminist economists have demonstrated how neoclassical conceptions have hidden and devalued basic forms of subsistence and caregiving work that are often done by women. Feminist economic geographer J.K. Gibson-Graham, in her books The End of Capitalism (As We Knew It) (1998) and A Postcapitalist Politics (2006), synthesizes these and other streams of thought in what she calls the "diverse economies perspective." Addressing concerns that are central to the solidarity economy approach, she asks, "If we viewed the economic landscape as imperfectly colonized, homogenized, systematized, might we not find openings for projects of noncapitalist invention? Might we not find ways to construct different communities and societies, building upon what already exists?" Indeed, the first task of solidarity economics is to identify existing economic practices-often invisible or marginal to the dominant lens-that foster cooperation, dignity, equity, self-determination, and democracy. As Carola Reintjes of the Spanish fair trade association Iniciativas de Economia Alternativa y Solidaria (IDEAS) points out, "Solidarity economy is not a sector of the economy, but a transversal approach that includes initiatives in all sectors." This project cuts across traditional lines of formal/ informal, market/non-market, and social/economic in search of solidarity-based practices of production, exchange and consumption- ranging from legally-structured worker cooperatives, which engage the capitalist market with cooperative values, to informal affinity-based neighborhood gift networks. (See "A Map of the Solidarity Economy," pp. 20-21.) At a 2000 conference in Dublin on the "Third Sector" (the "voluntary" sector, as opposed to the for-profit sector and the state), Brazilian activist Ana Mercedes Sarria Icaza put it this way: "To speak of a solidarity economy is not to speak of a homogeneous universe with similar characteristics. Indeed, the universe of the solidarity economy reflects a multiplicity of spaces and forms, as much in what we would call the â? ?formal aspects' (size, structure, governance) as in qualitative aspects (levels of solidarity, democracy, dynamism, and selfmanagement)." At its core, solidarity economics rejects one-size-fits-all solutions and singular economic blueprints, embracing instead a view that economic and social development should occur from the bottom up, diversely and creatively crafted by those who are most affected. As Marcos Arruda of the Brazilian Solidarity Economy Network stated at the World Social Forum in 2004, "a solidarity economy does not arise from thinkers or ideas; it is the outcome of the concrete historical struggle of the human being to live and to develop him/herself as an individual and a collective." Similarly, contrasting the solidarity economy approach to historical visions of the "cooperative commonwealth," Henri de Roche noted that "the old cooperativism was a utopia in search of its practice and the new cooperativism is a practice in search of its utopia." Unlike many alternative economic projects that have come before, solidarity economics does not seek to build a singular model of how the economy should be structured, but rather pursues a dynamic process of economic organizing in which organizations, communities, and social movements work to identify, strengthen, connect, and create democratic and liberatory means of meeting their needs. Success will only emerge as a product of organization and struggle. "Innovative practices at the micro level can only be viable and structurally effective for social change," said Arruda, "if they interweave with one another to form always-broader collaborative networks and solidarity chains of production-financedistribution-consumption-education-communication." This is, perhaps, the heart of solidarity economics-the process of networking diverse structures that share common values in ways that strengthen each. Mapping out the economic terrain in terms of "chains of solidarity production," organizers can build relationships of mutual aid and exchange between initiatives that increase their collective viability. 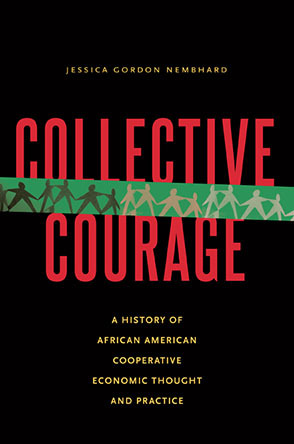 At the same time, building relationships between solidarity-based enterprises and larger social movements builds increased support for the solidarity economy while allowing the movements to meet some of the basic needs of their participants, demonstrate viable alternatives, and thus increase the power and scope of their transformative work. In Brazil, this dynamic is demonstrated by the Landless Workers Movement (MST). As a broad, popular movement for economic justice and agrarian reform, the MST has built a powerful program combining social and political action with cooperative, solidarity-based economics. From the establishment of democratic, cooperative settlements on land re-appropriated from wealthy absentee landlords to the development of nationwide, inter-settlement exchanges of products and services, networks of economic solidarity are contributing significantly to the sustenance of more than 300,000 families-over a million people. The Brazilian Solidarity Economy Forum, of which the MST is a part, works on an even broader scale, incorporating twelve national networks and membership organizations with twenty-one regional Solidarity Forums and thousands of cooperative enterprises to build mutual support systems, facilitate exchanges, create cooperative incubator programs, and shape public policy. The potential for building concrete local, national, and even global networks of solidarity-based support and exchange is tremendous and yet barely realized. While some countries, notably Brazil, Argentina, Colombia, Spain, and Venezuela, have created strong solidarity-economy networks linked with growing social movements, others have barely begun. The United States is an example. With the exception of the Rural Coalition/Coalicion Rural, a U.S.-Mexico cross-border agricultural solidarity organization, the United States has been nearly absent from global conversations about solidarity economics. Maybe it's harder for those in the "belly of the beast" to imagine that alternatives to capitalism are possible. Are alternative economic practices somehow rendered more invisible, or more isolated, in the United States than in other parts of the world? Are there simply fewer solidarity-basedinitiatives with which to network? Perhaps. But things are changing. An increasing number of U.S. organizations, researchers, writers, students, and concerned citizens are questioning capitalist economic dogma and exploring alternatives. A new wave of grassroots economic organizing is cultivating the next generation of worker cooperatives, community currency initiatives, housing cooperatives and collectives, community garden projects, fair trade campaigns, community land trusts, anarchist bookstores ("infoshops"), and community centers. Groups working on similar projects are making connections with each other. Hundreds of worker-owners from diverse cooperative businesses across the nation, for example, will gather in New York City this October at the second meeting of the United States Federation of Worker Cooperatives (see p. 9). In the realm of cross-sector organizing, a broad coalition of organizations is working to create a comprehensive public directory of the cooperative and solidarity economy in the United States and Canada as a tool for networking and organizing. It takes no great stretch of the imagination to picture, within the next five to ten years, a "U.S. Solidarity Economy Summit" convening many of the thousands of democratic, grassroots economic projects in the United States to generate a stronger shared identity, build relationships, and lay the groundwork for a U.S. Solidarity Economy Alliance. Move over, CEOs of the Business Roundtable! Wishful thinking? Maybe not. In the words of Argentinian economist and organizer Jose Luis Corragio, "the viability of social transformation is rarely a fact; it is, rather, something that must be constructed." This is a call to action. Ethan Miller is a writer, musician, subsistence farmer, and organizer. A member of the GEO Collective and of the musical collective Riotfolk (www.riotfolk.org), he lives and works at the JED Community Land Trust, a land-based mutual-aid cooperative in Greene, Maine. Workgroup on a Solidarity Socioeconomy, "Exchanging Visions of a Solidarity Economy: Glossary of Important Terms and Expressions," November, 2005, www.socioeco.org. Is the social and solidarity economy a workable alternative to traditional capitalism?